Xbox 360 Games with Gold for September 2014 - Halo: Rea..
Xbox Live Gold members can look forward to two free games on Xbox 360 this September with "Halo: Reach" and "Monaco". On Xbox 360, starting Monday, September 1st, Monaco: What’s Yours is Mine (normally US $14.99) will be free for Xbox Live Gold members through September 15th. Then, on September 16th, Xbox Live Gold Members can download Halo: Reach (normally US $24.99) for free through September 30th. Xbox Live Gold members on Xbox One will be able to download "Super Time Force" and "Crimson Dragon" in September. Crimson Dragon was available already available to download for free in August. 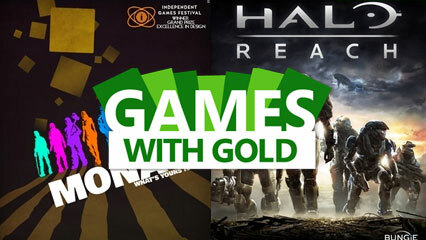 The Games with Gold program gives Xbox LIVE Gold Members free games to keep each month. A new title will be available the 1st and 16th of each month on Xbox 360. Follow 360-HQ and XBOXONE-HQ on Google+, Twitter, Facebook and YouTube to find out what games will be free each month.